Gold has been a dud of an investment for much of the year, but it has started to regain some of its luster. The price of gold is up 3.5% since the start of October. During the same period, the S&P 500 has fallen 6.5%. Gold tends to do hold up well in times of turmoil and it's a particularly compelling investment when people are worried about inflation -- like they are now. Wages grew at their fastest clip since 2009, according to October's jobs report. During the past couple of years, most gold purchases had been made by Russia, Turkey and Kazakhstan. 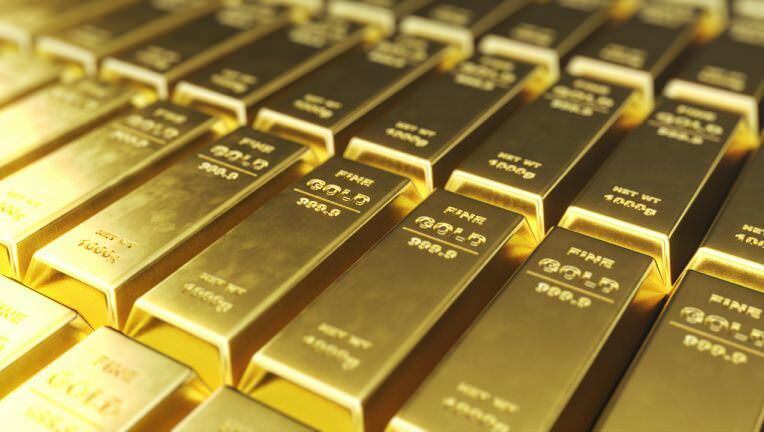 They are still major gold buyers, and countries like India, Poland and Hungary, have aggressively ramped up purchases lately, Dempster noted. But central bank purchases are drawing attention. "The big story at the moment for gold is the central banks," Dempster told CNN Business. "The pace of buying has really increased and it's broadened." Investors have taken notice. Shares of Newmont Mining (NEM), a gold mining stock in the S&P 500, are up nearly 7% since the start of October. And according to EPFR Global, a fund that tracks money going in and out of mutual funds, commodities-based mutual funds attracted more investments last week mainly because of increased demand for gold funds. Gold has performed well even as more economically sensitive commodities have not. Oil and copper prices both fell in October for example. Dempster expects the trend of rising gold prices to continue as American investors continue to show more interest, particularly as the Federal Reserve is expected to keep hiking rates to combat inflation. That could make the US dollar and gold even more attractive as places to hide in uncertain times. In fact, the World Gold Council reported that demand for gold bars and coins in the United States surged 74% in the third quarter. "Stock market volatility has pushed more people to gold. Any further wobbles on Wall Street could lead to more demand for gold going forward," she said. Still, gold has a long way to go before it gets back to its highs of earlier this year -- the last time investors were freaking out about inflation. Gold was trading above $1,350 an ounce in February. It's now trading at around $1,230. No matter what, gold is always the go-to investment. I've always thought gold was a solid investment. @supermario So did I. It's the old people in us talking. All that about stability. It just goes to show how stable gold is.